Location: South East Coast UK. 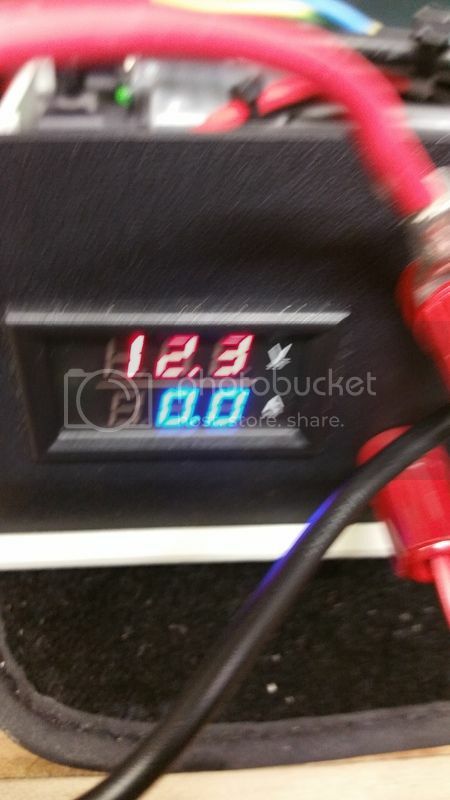 Re: Server converted power supplys. Admiral wrote: Ah, okay, well then thanks sec1223, I finally got around to using it and runs like a charm, if you still remember your spec from 8 months ago sec1223 then I'd be interested to know how far I can push it. And on my particular VHF set there was no noticeable extra noise created from this thing on NFM either, it always was an S1 on standby and still is. They where cheap... in my defense, just like tinkering. Getting close to finishing the big linear psu now.. The thing is guys, in a similar mindset to an old guy with SDR, like, how can this tiny stick be a radio receiver, radio receivers are huge things with lots of turny knobs and stuff right? Well how in hell can this little thing crank out 70A? My 50A linear PSU is enormous, strictly speaking with modern H&S then it should have two handles attached or a built in set of wheels as it weighs a ton and is about the size of a 1970's TV set, and gives out as much heat. I am going to do some 'noise' testing on HF with this switching server PSU, and so long as there is no significant increase in and already QRM filled environment then I'm afraid the linear set will be looking for a new home. Admiral wrote: The thing is guys, in a similar mindset to an old guy with SDR, like, how can this tiny stick be a radio receiver, radio receivers are huge things with lots of turny knobs and stuff right? Well how in hell can this little thing crank out 70A? My 50A linear PSU is enormous, strictly speaking with modern H&S then it should have two handles attached or a built in set of wheels as it weighs a ton and is about the size of a 1970's TV set, and gives out as much heat. I am going to do some 'noise' testing on HF with this switching server PSU, and so long as there is no significant increase in and already QRM filled environment then I'm afraid the linear set will be looking for a new home. I hope it works for your set up Admiral. Its all in the semiconductors, there incredibly highly rated. The materials are 1st rate, they have to be to run dozens of server units 24/7. As long as your noise levels are ok, your on to a winner. Modern smps have come on in leaps and bounds. A decade or two ago they where dreadful noise boxes, filtering and design are so much better these days. And the IT industry won't except huge failure rates. So it should, hopefully be all good, fingers crossed. Few more to have a tinker with. 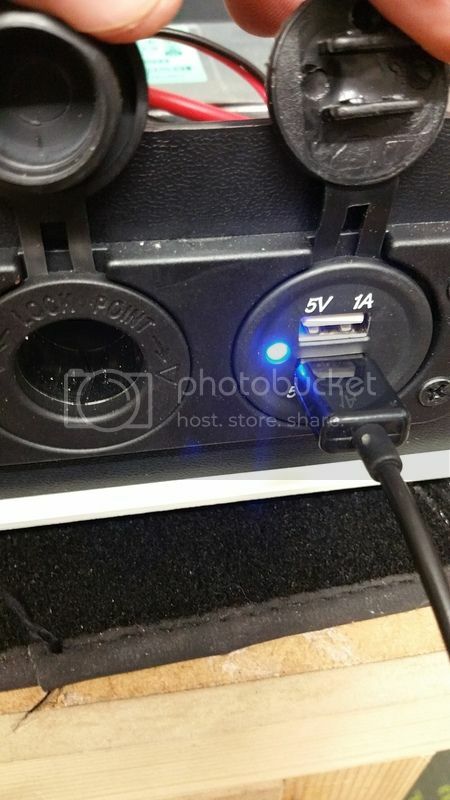 I'm in the market for a high capacity Power Supply ( 40 Amps +) and had originally looked at purchasing a conventional power supply until I was reminded by a fellow TM1 member (Cheers Buick) that converting a server PSU would be both economical and practical. Certainly plenty of power. I confess to have forgotten about this option. My question is around noise levels. Has anyone carried out a decent amount of testing across the HF/VHF spectrum for any signs of noise from these power supplies? If they are proving to be good in this respect, I'll carry out the required mods to one and see how that goes. 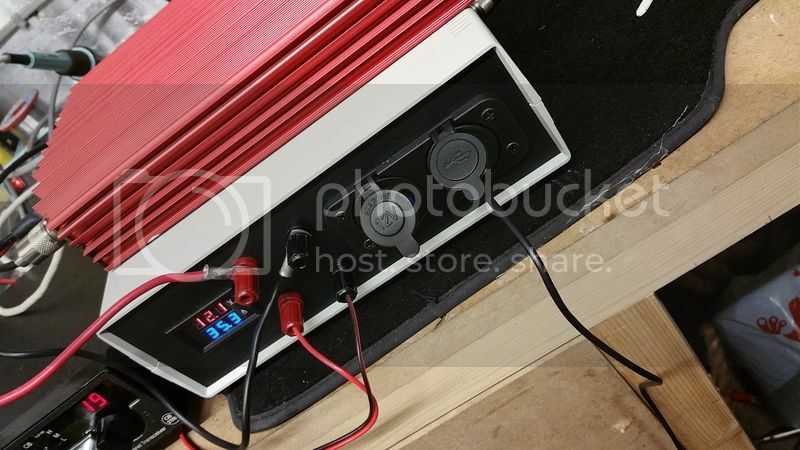 kilimax wrote: I'm in the market for a high capacity Power Supply ( 40 Amps +) and had originally looked at purchasing a conventional power supply until I was reminded by a fellow TM1 member (Cheers Buick) that converting a server PSU would be both economical and practical. Certainly plenty of power. I was hoping someone was going to pick up the trail, someone with a scope. Currently I don't have one. I've had a couple of units that raised my noise floor on 11 meters But my antenna was close by. There are people that are using them with no issues at all, I would be very interested to see some feedback also. The use of a scope and loading would reveal some interesting results. For what they cost, I think most people take a punt on it. But as I say some feedback of HF VHF use would be very interesting. sureshot wrote: I was hoping someone was going to pick up the trail, someone with a scope. Currently I don't have one. I've had a couple of units that raised my noise floor on 11 meters But my antenna was close by. There are people that are using them with no issues at all, I would be very interested to see some feedback also. The use of a scope and loading would reveal some interesting results. For what they cost, I think most people take a punt on it. But as I say some feedback of HF VHF use would be very interesting. Thanks for that. As these don't cost very much, I'm just going to press ahead and get one of these power supplies and once finished, I'll do some real world tests myself. I don't have a scope so it will just be me, my radios and my not so great hearing but good enough for the purposes of establishing if background noise levels increase and I can use one of my SDRs to sweep across the spectrum for any horrible spikes. As it is, I have a Dell Poweredge server that runs 24/7 in my shack as a host for a virtualization lab and its power supply is exceptionally rf quiet. Mind you, I did have to replace the fans as they were like jet turbines! Great stuff ! If you have a look at the RC radio controlled forum, the guys there have found ways to jumper pins to slow the fan at idle load times. But still get full fan speed under heavy loads. 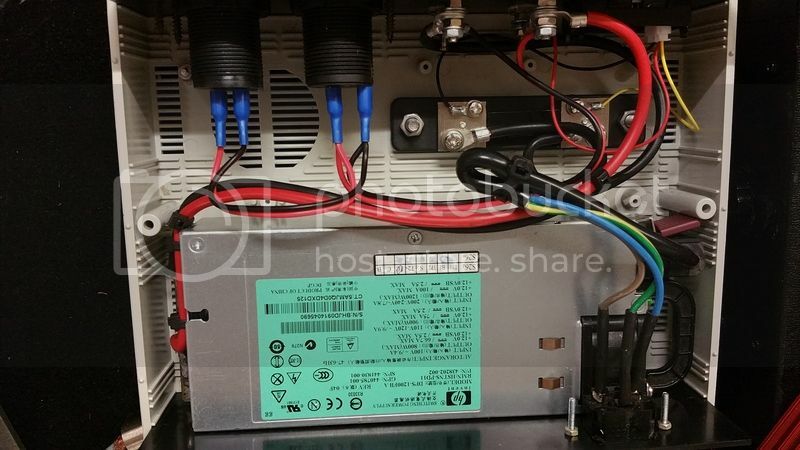 Converting sever power supply as a Google search normally throws up the RC forum conversions in the first few hits. There are quite a few hacks, even a couple that will drive the output of one or two model of server psu's up to 13 Volts or just over. There's quite a few tutorials and other great modifications on these things across the Web. 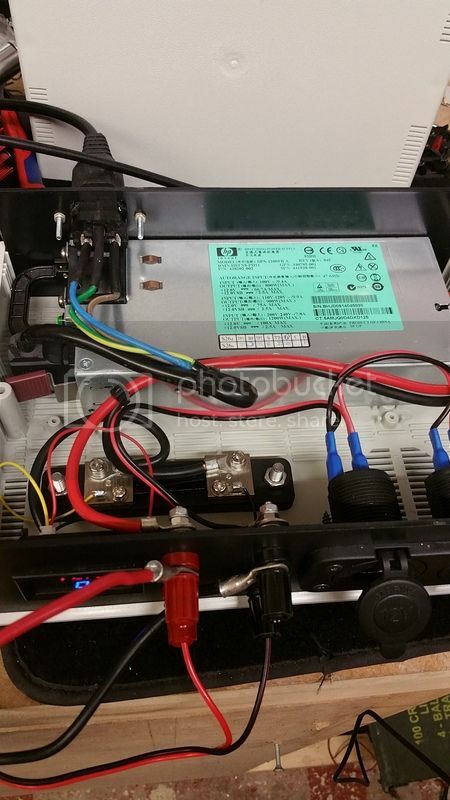 But the RC forum holds a huge amount of articles on modding these power supply. Sellers on eBay seem to be getting wise to people's needs when buying these units, I've seen prices steadily climb sadly. But a bargain can still be found if you search hard enough. Good luck with your modding and project, I really hope it pays of for you. Thanks mate and for the info about the RC forums. I'll do some research over the next few days and see what I can find. As for price, I've managed to bag myself a HP DPS-1200FB 1200 Watt supply for £19 delivered and by my reckoning, this beauty will provide way more than I need all day long. I've reckoned on about 40 Amps peak and this should supply twice that. I'll wait and see what voltage I actually get out of it before I go and start modding. If I can get 12.5 out of it without resorting to mods, that will do me fine. Might stick it in a case but that's for further down the road. I'll decide if the fan needs throttling back if and when it kicks in. I'm not going to be using it at full load. Excellent This is giving me some really good ideas about what to do with this power supply when it arrives. Last edited by jason on 04 May 2017, 18:13, edited 1 time in total.